People living with dementia shouldn’t have to give up the things they love, due to inaccessible or unsupportive environments – including visiting a cinema. Depot wants to make a difference to people living with dementia in and around Lewes with its Dementia-friendly screenings. Experienced practitioner Suzy Harvey brings the action on screen to life in the auditorium, provoking memories and encouraging fun. Each guest will be given a bag of props to immerse themselves in the films and re-engage them with the joy of cinema. How are dementia-friendly screenings different? The auditorium lights are on a half setting throughout the film and the sound is slightly quieter. There is a relaxed attitude to noise and audience members are free to move around and come and go. There is a quiet area outside the screen for anyone who needs a break. Dementia trained Depot staff and volunteers are on hand. Depot is on Pinwell Road at the bottom of Station Street, next to Lewes railway station. Mini buses and taxis can drop off directly outside the entrance. If you have any questions about your visit to the cinema please do pop in to have a look around or email Bonnie at events@lewesdepot.org with any questions. Film is an immersive experience which can promote activity and stimulation of the mind; be an important tool for reminiscence, and is often associated with relaxation, engagement and, above all, enjoyment. 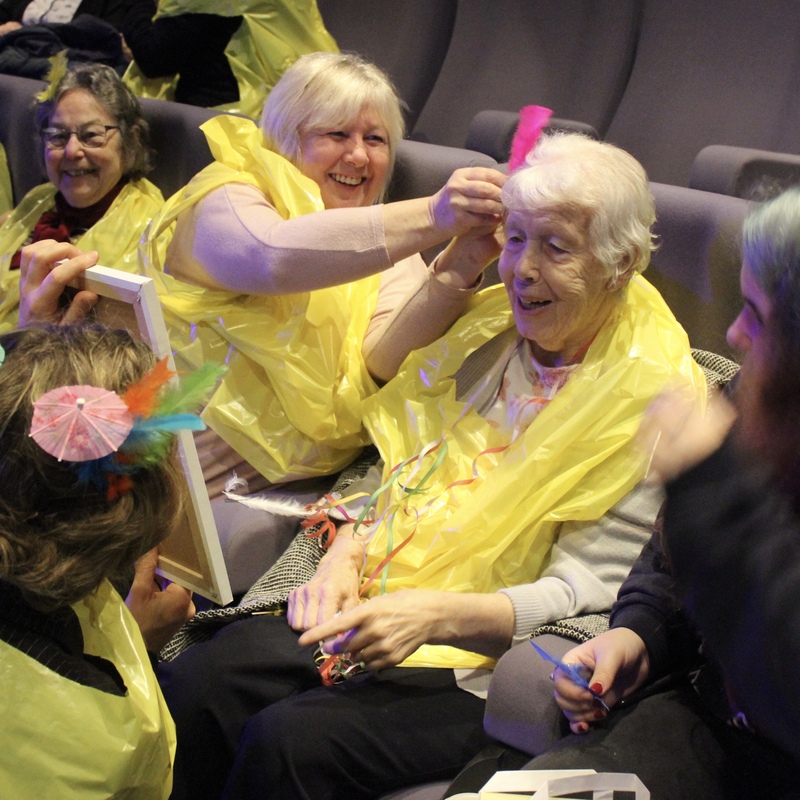 Working with experts, our special screenings are filled with singing, dancing and frivolity.